7 days from £1495pp plus international flights. This holiday takes you to the south coast of Brazil, where you travel by road, rail and sea, allowing you to experience the scenery, culture and heritage of the region. You have a chance to enjoy laidback days on the beach, take a train ride through the Atlantic forest and explore coastal towns. It's the perfect mix of activity and relaxation. You start in Curitiba, a buzzing city combining striking architecture, large parks and bold urban planning. 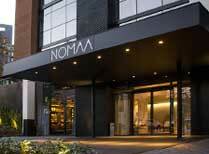 Your hotel is a good example of the stylish design that characterises the city. 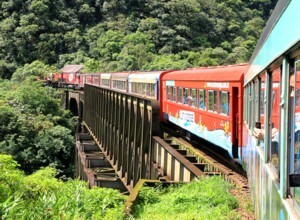 From here you go back in time as you board the Serra Verde Express which travels along a track that dates back to 1885, and passes through a large area of Atlantic rainforest. Sit back and enjoy the ride! Morretes, your destination, is a charming colonial town and you explore with a guide who also takes you to the coast for views of Antonina Bay. The delightfully named Ilha do Mel, Honey Island, is your next stop, Blissfully free of cars and motorbikes this picture postcard island is a gorgeous place to escape the hustle and bustle of everyday life. 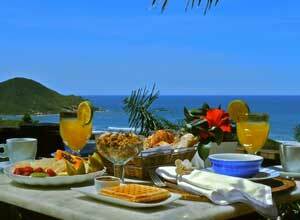 Your pousada faces a pretty beach and is owned by a professional chef. 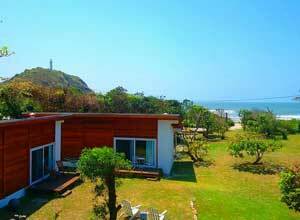 Explore on foot, by bike or boat, laze on a beach, try out your surfing skills and dine on fresh seafood. That's pretty hard to top, but Praia do Rosa succeeds. The curved stretch of sand extends for 3kms and is flanked by low sand dunes and forest, and is often used as a back drop for photo shoots. There's time to top up your tan, go surfing, swim the lagoon, go hiking and horse riding, or you can enjoy some relaxed downtime by the hotel's infinity pool. 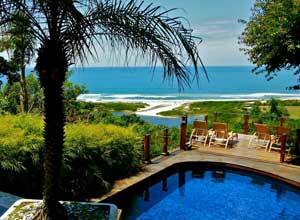 This holiday makes a great add-on to a longer Brazil trip and can be a holiday in its own right. 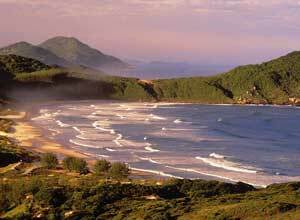 It starts in Curtiiba and ends in Florianopolis, both with airports with good connections to other parts of Brazil, making it easy to link with another holiday itinerary. You arrive at the airport in Curitiba, where you are met by a representative of our partner company in Brazil and drive to Nomaa Hotel. 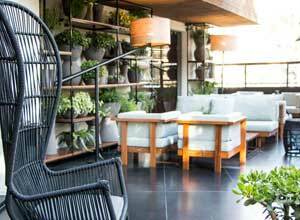 This is a stylish, modern hotel with an attractive terrace where you can unwind after your flight, and a spa where you can enjoy therapeutic treatments. 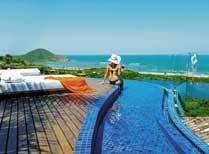 Accommodation on a twin share basis, private transfers, flight from Curitiba to Florianopolis, meals shown as included, the Serra Verde Express from Curitiba to Morretes, services of a guide in Morretes, return public boat transfers from Pontal do Sol to Ilha do Mel. International flights, departure taxes, travel insurance, visas, meals not shown as included, drinks, optional excursions and activities, tips, personal spending. This holiday begins in Curitiba and concludes in Florianapolis from where you can connect to other regions of Brazil to continue your holiday, or fly back to Rio or Sao Paulo and thence back to the UK. 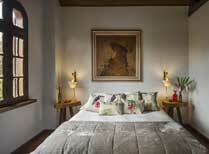 We recommend international flights into either Sao Paulo or Rio de Janerio. Return flights from the UK cost from around £750 per person, depending on availability and season. We can book the international and domestic flights for you. Curitiba is the capital and largest city of the state of Parana in southern Brazil, and is a model of urban planning. Ilha do Mel translates as Honey Island and it’s a real gem on Parana’s coast, popular with Brazilians and foreign visitors alike. 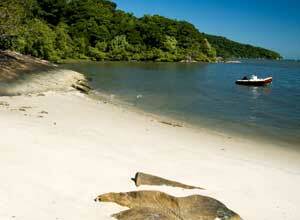 Linked to the mainland by 3 bridges, Santa Catarina is the historic centre of Florianopolis. 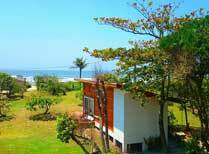 It has some famous beaches and is a well-known surfing destination.